Experience the History of St. Charles. Enjoy the Hospitality of Sundermeier! Relive the Early American Spirit in Historic St. Charles, convenient to St. Louis and St. Peters! This charming community, located on the banks of the Missouri River, was Missouri's First State Capitol. Visit one-of-a-kind shops located in restored buildings that date back to the 1800's as you stroll along brick paved streets. Here you will find something for everyone, including frontier re-enactments, arts and crafts demonstrations, holiday activities, Christmas traditions, music, art fairs, festivals, and many other things to do and see. There is always something of interest for the entire family in our area. A lovely city park with playground and basketball court is across the street from Sundermeier. Also adjacent is the Katy Trail State Park for wonderful hiking and biking opportunities. 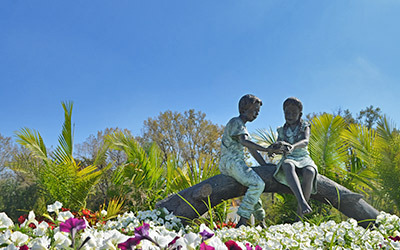 Less than a mile away is a beautiful city park with three swimming pools, tennis courts, baseball diamonds, playground and picnic shelters. 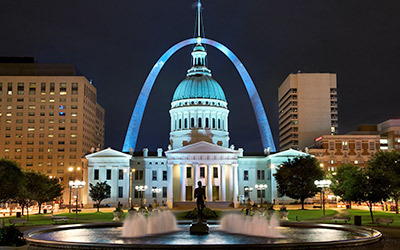 Sundermeier is 20 miles west of St. Louis, which features the Gateway Arch, numerous museums, St. Louis Zoo, Grant's Farm, concerts and Broadway performances at the Fabulous Fox Theater and the Muny Opera in Forest Park. 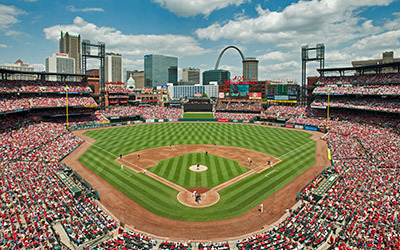 It also is home to outdoor cafes, shopping, wonderful festivals throughout the year, our famous St. Louis Cardinals, and much more. © Sundermeier RV Park. All rights reserved.